Simonik Moving & Storage has been a family-owned and –operated business since 1977. We’ve been providing professional moving services to families, individuals and businesses that have taken us millions of miles around the world – and we’ve loved every single one. As a BBB-accredited business and ProMover member of the New Jersey Warehousemen & Movers Association, we’re committed to quality, customer-oriented service. 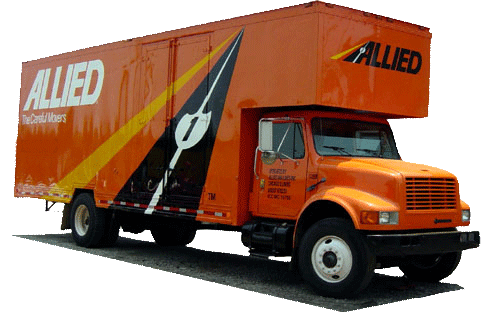 We’re also an agent for Allied Van Lines, one of the best transportation companies in the business, so you know our Old Bridge Township movers are held to the highest standards of service and support. Regardless of the size and scope of your home, the Old Bridge Township movers at Simonik Moving & Storage will come out to your home to provide you with a free in-home estimate – creating a moving plan and mapping out every step! We can perform “basic” or “full-service” relocations if required – just call and ask for a free consultation and estimate! Your business – regardless of its size and scope – can be safely and efficiently moved by the Old Bridge Township office movers of Simonik Moving & Storage. To ensure that you receive a smooth and streamlined service, we’ll also assign a dedicated Move Coordinator to your account – someone who will be there to provide ongoing service and support at each juncture of the project! Furthermore, we can handle you company’s employee relocations. Call us today for a free, no-obligation consultation and learn more reasons why we excel over other Old Bridge Township moving companies. We look forward to making your transition easier than you ever thought possible. Call now or fill out our online quote form today!